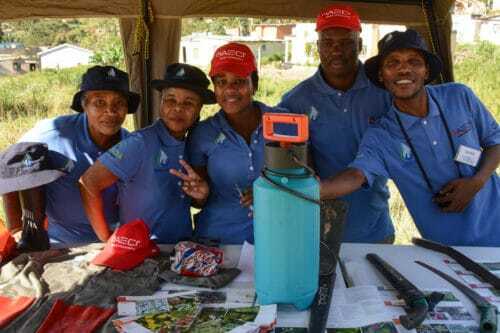 The AECI Wise Wayz Water Care (WWWC) programme started in 2016 and is based in the Mbokodweni catchment area, working with 122 members of the Folweni and Ezimbokodweni communities in eThekwini, KwaZulu-Natal. WWWC promotes healthy natural environments through water and food security, while also developing community skillsets and sustainable livelihoods in historically disadvantaged communities. WWWC keeps a 30 kilometre stretch of the Umbogintwini River clear of solid waste and invasive alien plants, and has rehabilitated the Ezimbokodweni wetland of approximately 0.9 hectares, providing ecosystem services such as food attenuation to the community. The rehabilitated area is cared for and monitored by the community. Through WWWC, AECI and beneficiaries engage extensively with the eThekwini Municipality. This work has been acknowledged by Durban Solid Waste, the Environmental Planning and Climate Protection Department, and the Roads and Stormwater Maintenance Department. The Umbogintwini Industrial Complex (UIC), owned by AECI, has two impoverished communities on its border. 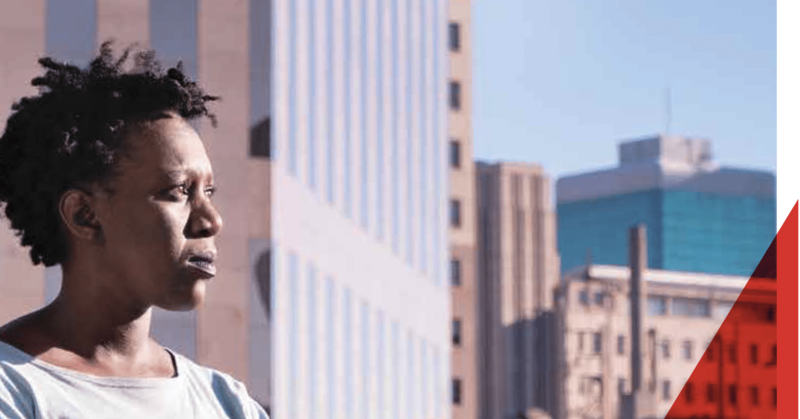 While some community members are employed at the UIC, AECI also helps to address broader community employability through its support of WWWC, which develops green skills, while simultaneously strengthening the company’s relationship with these communities. to draw on their skills acquired through the programme to clear and manage invasive alien plants. The programme also aims to establish two commercial agri-businesses (in poultry and vegetable farming) to support food security and increase sustainable job opportunities for beneficiaries. active participation in recycling efforts, facilitated by WWWC members. and found that a family in the area had been dumping nappies into one of the streams. Once engaged about the effects of their actions, the family stopped dumping. Over the 2017/18 period 1 833 community homes were visited and engaged about the environmental challenges they faced and how these could be addressed. advice and skills to the project in their personal capacity and various business units have expressed interest in providing more formalised mentorship, technical guidance and training. company’s BBBEE rating. The WWWC is funded by the AECI Group Community Education and Development Trust, which contributes towards the ownership score of AECI Limited. AECI’s subsidiaries also support the programme through their socioeconomic development (SED) contributions. This type of support enables the AECI Group to reach a 51% ownership score and five full points for SED.